After languishing for eight years on the Endangered Species list with little to no protection of its habitat, the Canada lynx won big when the U.S. Fish and Wildlife Service designated nearly 25 million acres in Maine, Minnesota, Montana, Wyoming, Idaho, and Washington as critical habitat for the reclusive feline. This is the largest area of critical habitat ever designated for any terrestrial species and the third largest critical habitat the Center has ever obtained (the others were won for the spectacled eider -- 24.8 million acres, and North Pacific right whale -- 23.5 million acres). Celebrate this major victory for the long-term survival of the Canada lynx. 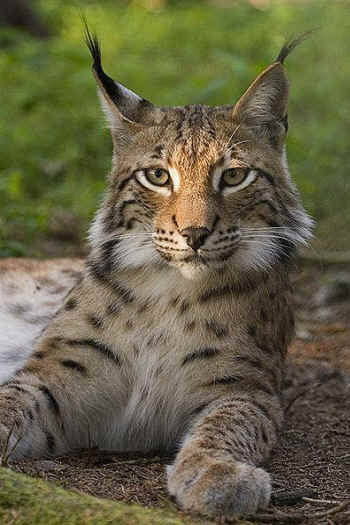 The lynx has been decimated by a combination of fur trapping and loss of habitat to logging and development. In 2008, the Center for Biological Diversity reined in lynx trapping in Minnesota through successful litigation and today's victory gives us the tools we need to further protect its habitat. These 25 million acres of critical habitat will provide vital protections, allowing the lynx to recover. This decision comes in response to litigation by the Center and other groups challenging a 2006 Bush administration designation of less than 1.2 million acres. Fish and Wildlife was forced to admit that Bush administration political appointees like disgraced former Interior official Julie MacDonald had tampered with the science behind the paltry lynx designation. The Center is currently challenging dozens of other unjust Bush administration species listings and critical habitat decisions stemming from improper influence by political appointees. 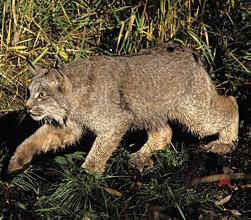 Even as we celebrate the breadth of this victory, we recognize that key areas were left out of the designation, including the southern Rockies of Colorado, where a population of lynx has been established through reintroduction, and the Kettle Range in northern Washington, where scientists have identified essential habitat for the lynx. The Center is considering options for how to obtain protection for these additional areas and will keep you up to date as we move forward.